After a successful first edition in 2013, India by the Nile returns for the second consecutive year with programming even more vibrant than its inaugural year. This year, the festival will span between 1 and 20 April, offering a wide assortment of artistic activities to audiences in Cairo, Alexandria and Hurghada. Being a brainchild of Teamwork, India by the Nile is one of the dozens of successful festivals managed by the company across the globe. The festival includes scopes spanning from the performing arts, to music, to literary events, always aiming to entertain the audience with high quality cultural events while creating a fascinating platform for the artists and literary figures to network, cooperate or exchange thoughts. Teamwork’s presence in Egypt is a result of a partnership between Teamwork, the Embassy of India, the Ministry of Culture, the Ministry of Tourism, and the Cairo Opera House. The Cairo Opera House is among the several locations that provides stage space to the events taking place during the festival. Similarly to the prior year when the Bollywood Fusion hit the opera's stage, India by the Nile 2014 will kick off with Bollywood Love Story, a musical comprised of over 35 Indian dancers performing to known music from the Indian cinema. In the programme notes, the organisers reveal that the musical tells the story of the beautiful heroine, Priya, the handsome hero Rahul, the evil Don and a group of notch girls, against the backdrop of dance and song. The musical also provides a visually rich experience, a defining characteristic of Bollywood. The show will be staged throughout the course of several days in Cairo (3-6 April) before it will head to Alexandria (10-11 April) and lastly Hurghada (15 April). While in 2013, Egyptian audiences became well acquainted with classical Indian dance, Odissi, this year, Teamwork will focus on Kathak. Marami Medhi, an expert of Kathak dance, narrates her story with movement, looking to Indian myths and legends, a typical thematic content of this art form. Nagada, or Indian folkloric kettle drums, will be heard during the performance Nathoo Solanki, Chugge Khan, and other Rajasthani musicians in Cairo (13 April) and Alexandria (12 April). A workshop of this music genre will take the participants into the world of unique Indian rhythms (6 April), while Javed Akhtar, one of India’s most famous lyricists, will discuss the Song in Indian cinema (12 April). Organisers of India by the Nile did not forget rich visual experiences. 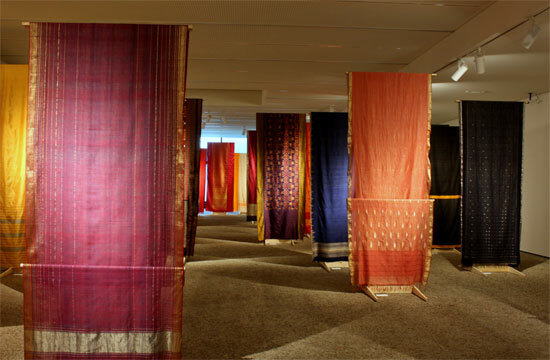 While, last year Akshara: Indian calligraphy, was an exhibition of Indian crafts fused with calligraphy, this year, India by the Nile will showcase Saris (9-12 April), the traditional Indian dress for women. The organisers have also promised to provide free lessons in sari draping. Another exhibition entitled "India Ink," which presents Indian political cartoons will be on display in the Egyptian Modern Art Museum (17 and 19 April). 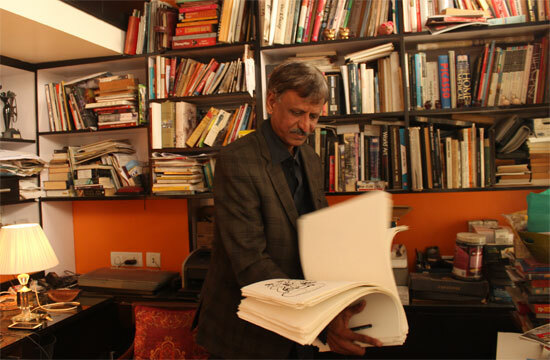 In four decades of cartooning, Sudhir Tailang, dedicated a good portion of his career to the Hindustan Times, occasionally also drawing for the Indian Express and The Times of India. In an interview with Tailang published in early February, the cartoonist explained that he stands at the crossroads between journalism and art. "People like cartoons due to their political content. I would say that the drawing part constitutes only 30 percent of the cartoon, while 70 percent lies in the idea behind it. Cartoon is exactly the opposite of the portrait. While the portrait makes the person beautiful, the cartoon underscores all the flaws and reveals the sins. In fact, many cartoons are more tragic than comic, but hasn’t the line between tragedy and comedy always been very thin?" Taiang commented. The exhibition will reveal many facets of his skill and as such introduce the Egyptian viewers to this inimitable art form and its positioning in contemporary India. Literary figures will take part in a regular segment of India by the Nile entitled Words on Water with the session to be held at the Supreme Council of Culture and moderated by Mohamed Salmawy. Among the renowned names who will participate in the discussions will be Tailang, as well as Urvashi Butalia, Indian feminist, publisher and historian. To wide audiences Butalia is recognised as a co-founder of India's first feminist publishing house, Kali for Women and author of works tackling India's history, culture and politics. "We published two Egyptian writers in translation: Nawal El-Saadawi and Salwa Bakr. We are also interested in works by Miral El-Tahawy," Butalia explained to Ahram Online in an interview published in January 2014. The festival does not omit screenings of Indian films, Indian Film Panorama is scheduled to take place between 12 and 16 April. Shabana Azmi, one of India’s best known film stars and a social activist both on and off-screen will join the discussion tables in Cairo. With those and many more events covering 20 days across three Egyptian cities, the second edition promises to be yet another priceless experience bringing the Indian culture a step closer to Egyptian viewers. In its second edition, Teamwork ensured that the programming will infuse the scene with new riches. India by the Nile’s free events, impressive programming, flawless execution and strong logistical support during its inaugural edition in 2013, have allowed it to become one of the most attended international arts festivals held in Cairo since the 2011 revolution. This year, by introducing new and equally fascinating cultural elements to the programming, the festival only adds more layers to the Egyptian conscious, deepening the level of awareness of India's arts. Check the festival full programme here.